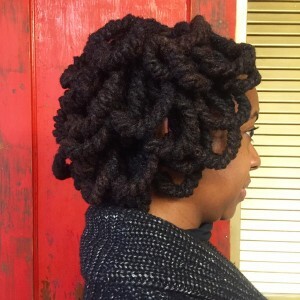 One of the styles that I am constantly perfecting these days is Pipe Cleaner Curls on Locs. 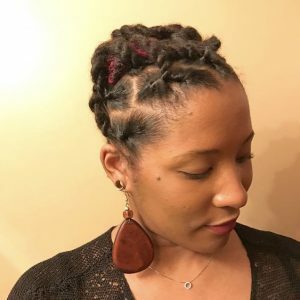 Nowadays, I am in love with Pipe Cleaner Curls— but if you’ve been following my journey you know prior to working in the salon I HATED pipe cleaners and it was because I didn’t understand the art (and technique) behind them. Secure at the Root. I was not securing the root of the locs before installing the pipe cleaners and as soon as I started rolling the locs on the pipe cleaners, the retwist would unravel *sad face*. 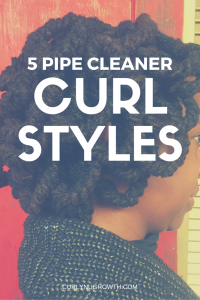 A Pipe Cleaners Set is meant to be a great transitional style because you can put the pipe cleaners in immediately after a retwist, keep the pipe cleaners in for a few weeks, then take them down and your retwist will be as fresh at the first day— if they’re done properly. Don’t Use Craft Store Pipe Cleaners. The #1 reason why I hated Pipe Cleaner Curls on Locs was because of the shedding of the pipe cleaners in my locs and inevitable lint buildup. I’ve since learned that this is completely avoidable by using industrial-strength pipe cleaners and not the cheap ones from the craft store that were never meant for your hair. Use the Flexibility. I had been approaching Pipe Cleaner Curls completely wrong for so long because I was treating the Pipe Cleaner like a roller and not like a foundation. 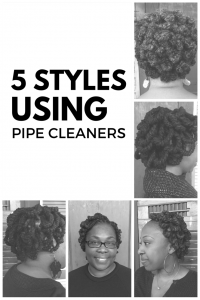 Using pipe cleaners, no matter the length, creates a base for the locs to be molded into all types of styles and not just hang down. 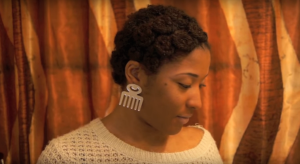 Using short length pipe cleaners we rolled her shoulder-length locs into a pixie cut style to create the illusion that she cut her hair. 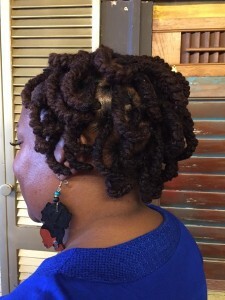 I used flat twists to give shape to her style and curled her shoulder-length locs with the pipe cleaners. 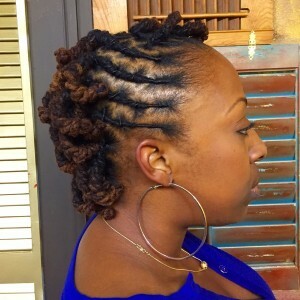 Her locs are bra-strap length and using Pipe Cleaners we created a style with movement and that framed her face. 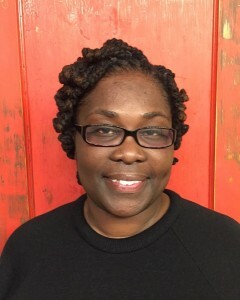 My beautiful client has salt & pepper medium sized locs that hung to the middle of her back and I was able to create the illusion of a short Afro to keep her locs off of her neck. 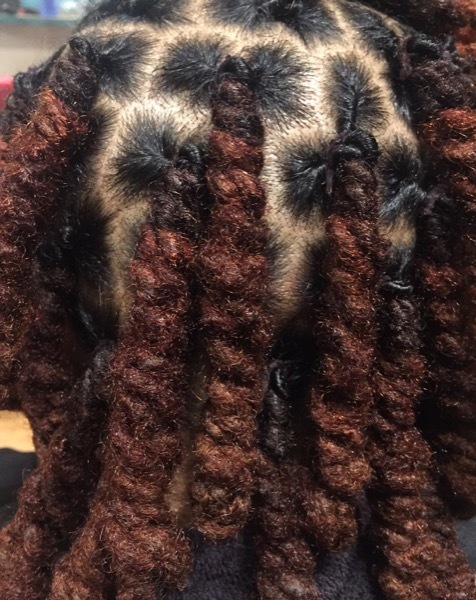 Her locs are past mid-back length and she wanted to show some of her length and have soft curls. 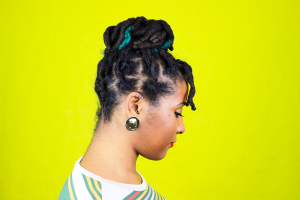 The styling possibilities with pipe cleaners are endless and I am so thankful that I was able to overcome the mistakes I was making and create art with locs using pipe cleaners. 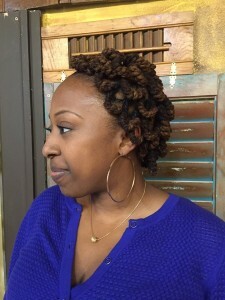 Do you like using Pipe Cleaners on your locs? P.S. — Let me know in the comments if you would like a Pipe Cleaners Styling Workshop. Yes, the tobacco shop is good or I linked the recommended pipe cleaners that are available on Amazon. Can you do a pipe cleaner workshop or tutorial? Can you do a pipe cleaner workshop? I am. Definitely looking forward to this. Eagerly looking forward to this session. A tutorial would be nice because I have only used them once and I am sure I didn’t do it correctly. My retwist did not stay and that’s probably because I was rolling incorrectly. 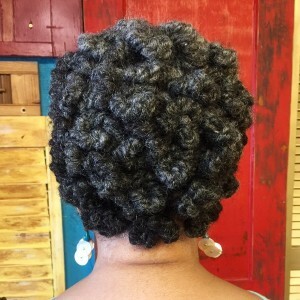 Pipe cleaners on loc’s are beautiful and the curl patterns as well, plus the curls last a long time before you have to wash your hair.